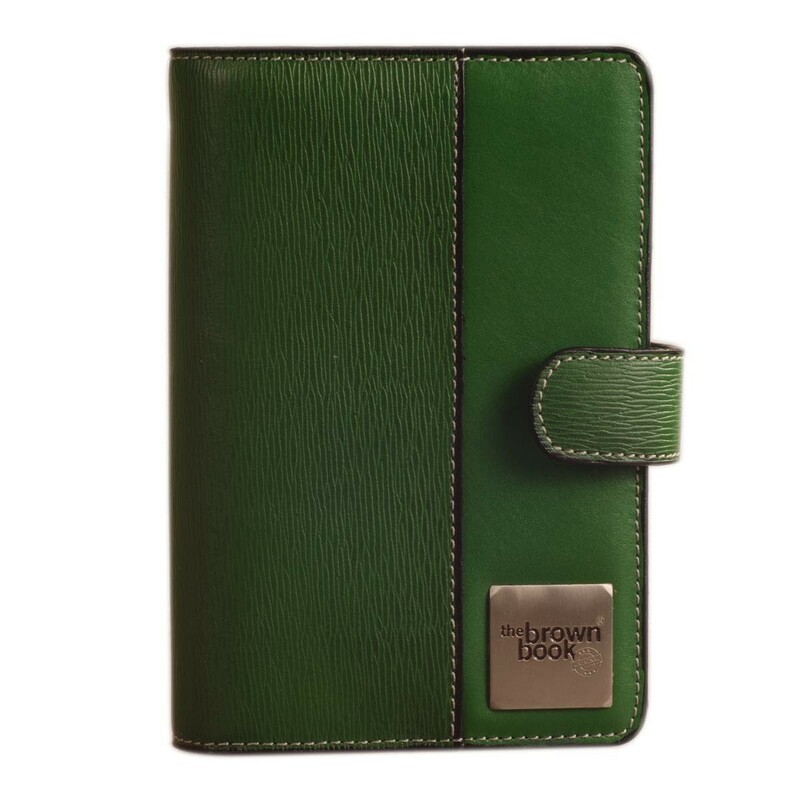 Available in 5 colors & with undated page-a-day refills. Genuine veg., tanned leather hand tipped in 2 tone green for the classic looks. Raw edges hand painted in black with thick contrast seams complete the sporty, youthful looks. 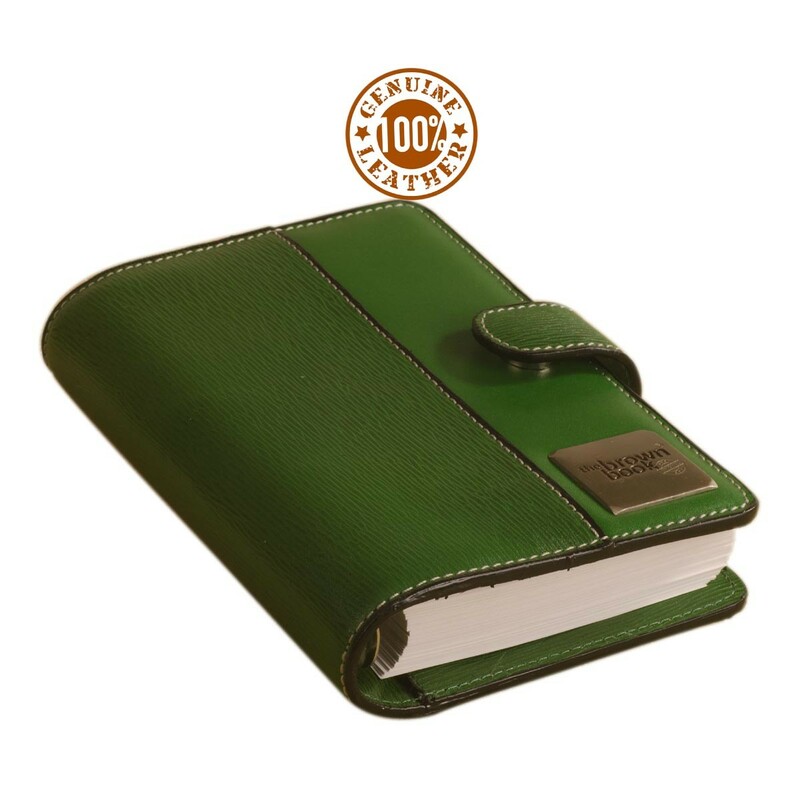 Designed to be durable the entire range of the brown book planner have 100% genuine leather both inside & outside. 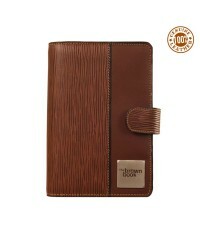 This construction make the brown book extremely durable. The imported 6 ring mechanism lasts a life time of use. 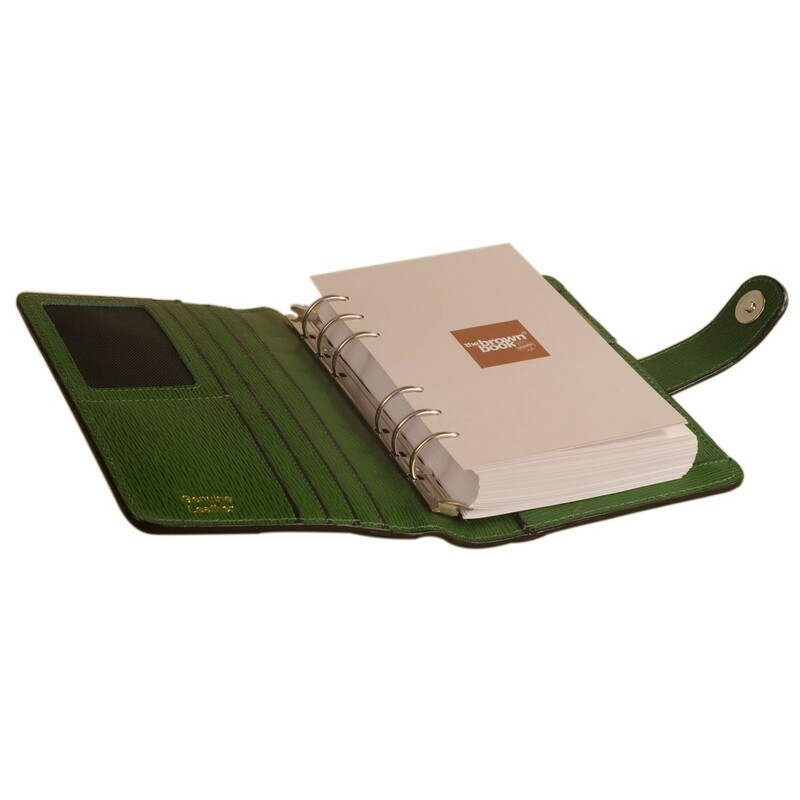 The ring binder makes it easy to rearranging the sheets to suit your special needs. Undated refills another first for the brown book is flexible & economical. 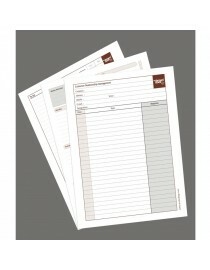 Use extra pages on very busy days and save sheets in few days where it take less space. 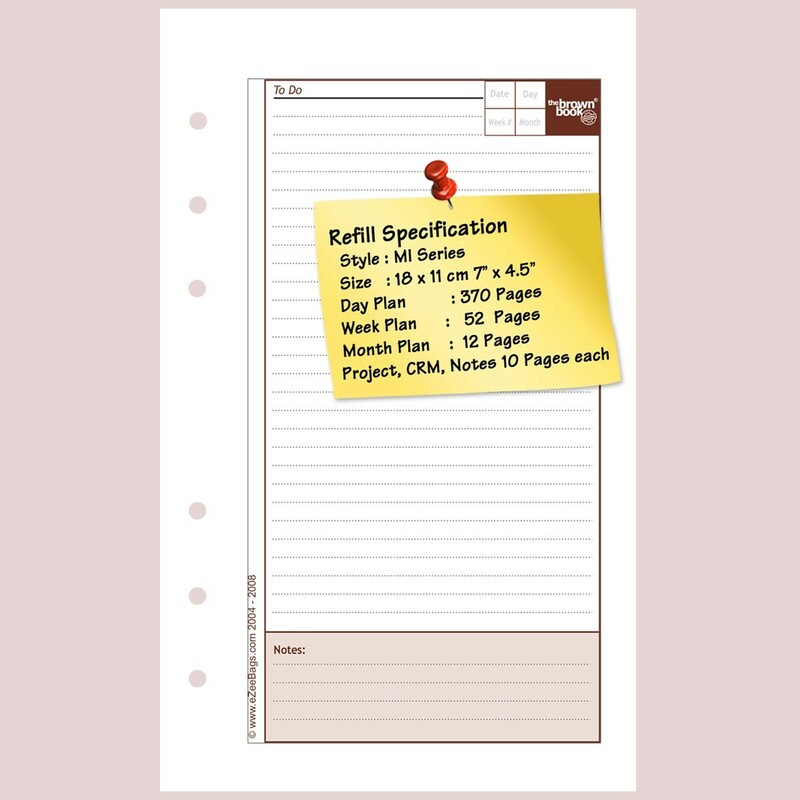 Refills are available separately and can be bought here any time of the year. 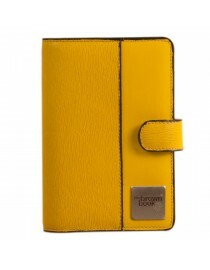 the brown book MI Series is also available in black, brown, red & yellow colors. 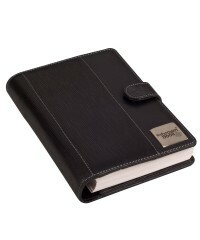 Can be customised for large orders with your branding, special cover pages with your corporate content in 4 color. Individual names can be embossed. Contact us for more information. 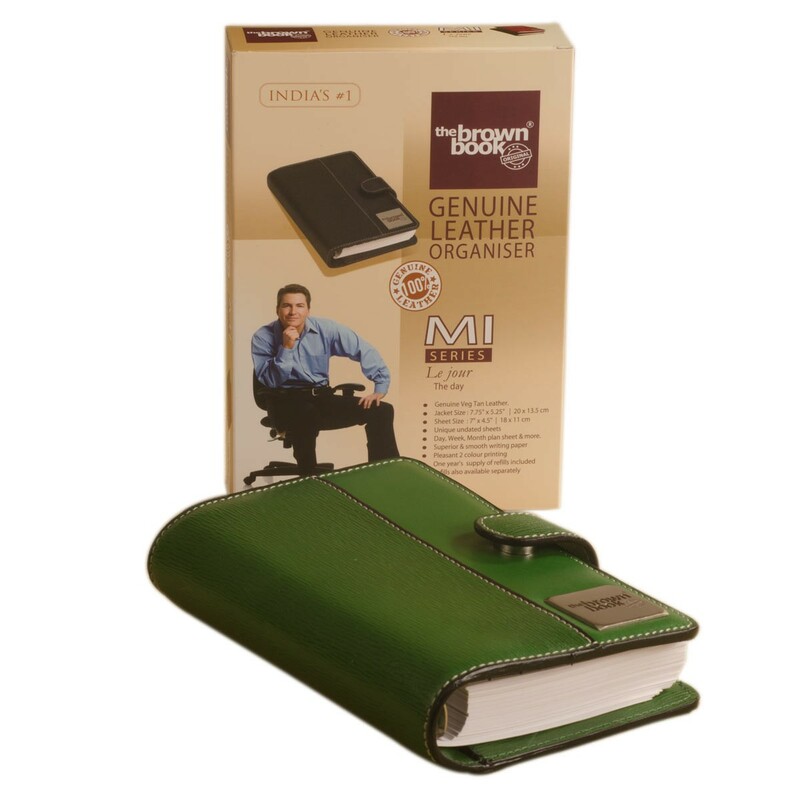 You're reviewing: the brown book - Genuine Leather compact ring binder organizer, removable pages, MI Series - Green. 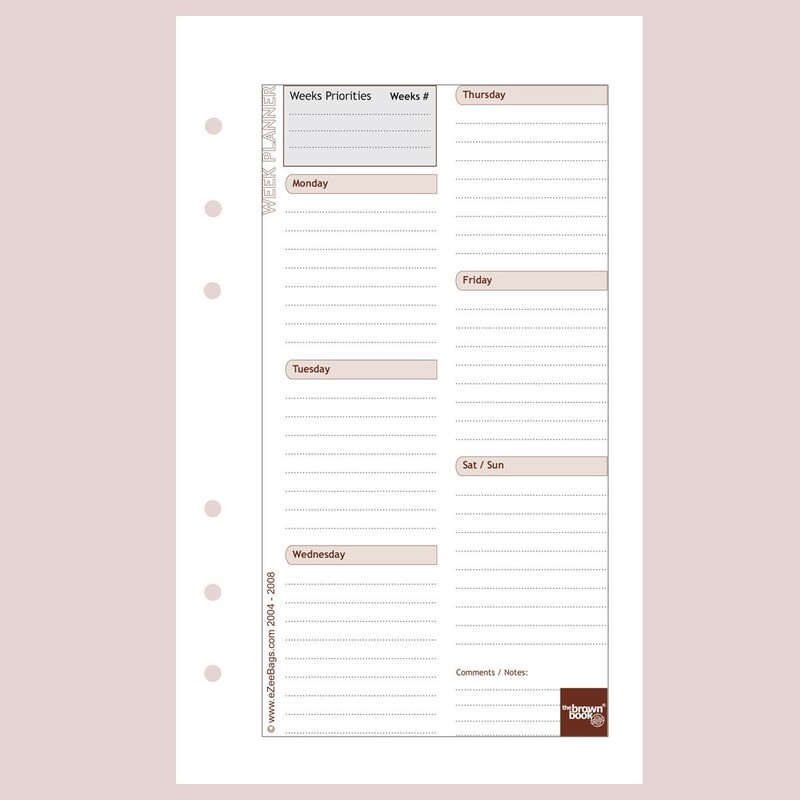 Undated Page-a-Day 6 hole planner diary refills for ,,the brown book'' - MI Series. 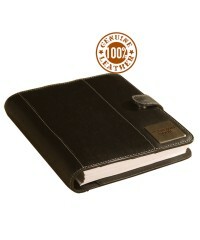 ,,the brown book “- MD Series Executive size planner diary in pure leather - 9 x 6.5 inch. Black.